Below is a clipped out newspaper article. 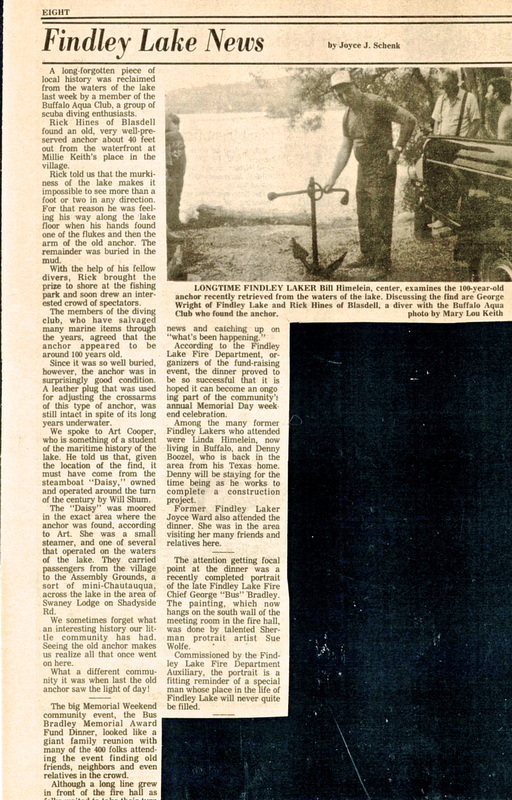 We include the interesting piece and hope to find the whereabouts of the anchor if it still exists. We have traced the anchor to Buffalo and the investigation continues.